Q: Are your Cabins pet friendly? A: YES! We have pet friendly cabins. Pet fee is required $55 for one pet and $10 for each additional pet. Q: Are linens included ? Q: Do the Cabins have Heat and A/C? A: Yes, each Cabin has it's own Heat & A/C unit for your comfort. Q: Do the Cabins have private bathrooms? A: Yes, every single Cabin we rent out has it's very own bathroom inside. Q: Is there a Refrigerator and Freezer in the Cabin? A: Yes, our Cabins come fully equipped with a kitchenette which includes an apartment size Refrigerator/ Freezer, Sink, Keurig , & Microwave. At this time we do not offer stove tops, but we do provide outdoor grills. Q: What Trails are you near? A: The Real McCoy Cabins are conveniently located on the Virginia/ West Virginia border, giving our guests the ideal location for the ultimate trail riding vacation. Sandwiched between the Southwest Virginia Spearhead Trail system's Original Pocahontas Trail, and the Hatfield McCoy Trails Pocahontas System either trail system is a quick ride from our Cabins. Q: How accessible are the Trails? Are ATV's & Dirt Bikes street legal? A: Both the Hatfield McCoy Trails and the Spearhead Trail Systems are easily accessible from our Cabins as you can see in the above map. The Town Of Pocahontas Is an ATV friendly Town that allows you to ride on the roads in the Town limits. The Town Of Bramwell (3 Miles East, home of The Hatfield McCoy Trails) is also an ATV friendly Town. From the trails you can ride up to 300 miles and wind up in several Southwestern Virginia, and Southern West Virginia Towns. The opportunities are endless. Q: Do you sell Trail permits? A: Yes, we sell both Hatfield McCoy & Spearhead (annual and day) Trail permits. Q: What are your Check in & Check Out times? A: Check in is 3pm and Check Out is 11am. Q: Is there anywhere to get my ATV fixed if I break down? A: Yes, there are several shops nearby. Q: Where can an ATV be rented? A:Winter rates December 1- Feb 28 (2 night min. ), Sunday - Wednesday $129, Thursday - Saturday $149, plus $30 cleaning fee and taxes. Season Rates March 1 - November 30 (2 night min. ), Sunday - Wednesday $149, Thursday - Saturday $169, plus $30 cleaning fee and taxes. October Rates Sunday - Wednesday $159, Thursday - Saturday $179, $30 cleaning fee and taxes. One night stays are possible based on availability at a holiday rate. (excluding holidays and the month of October) Must be secured by calling our office. Q: Are there restaurants or stores nearby? 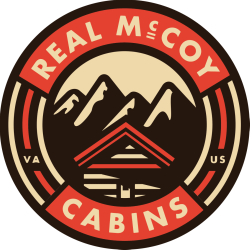 A: The great thing about Real McCoy Cabins is we have Real McCoy Country Store and Kitchen onsite. Just a short walk from your Cabin or RV you have Mom's Home Cooking and everyday items or snacks you may need. There is also a laundromat available for your use. Q: What if we need to cancel our reservations? 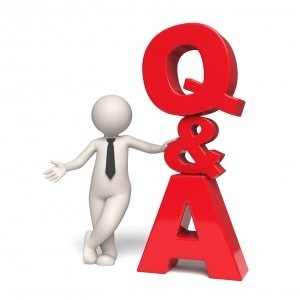 A: Notice of cancellation required within 11-21 days of reservation date is subject to a $50.00 processing fee for cabin rentals and $25 for RV Slip rentals. Cancellations within 10 days of reservation dates are subject to retention of the 1 night stay deposit. A date of stay change (if available) must be arranged 14 days or more in advanced to avoid cancellation fees of $50 for cabins and $25 for RV Slips. If you find yourself needing to cancel your reservations you can call our office at (276) 945-3106 and we will be happy to assist you.